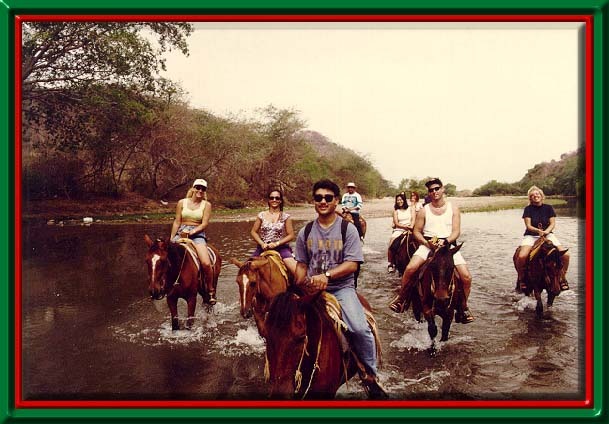 Horseback riding is a great day trip, complimenting all your water activities, and vacation at Puerto Vallarta tropical beach resort. Puerto Vallarta is such a beautiful seaside resort. 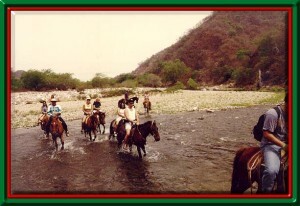 What better way to enhance your vacation than riding horseback along trails of the Desembocada Ranch. We will pick you up at your hotel, transport you to the ranch, saddle the horses and show you some of the most beautiful country you’ve ever seen. Our horses are gentle and well mannered. 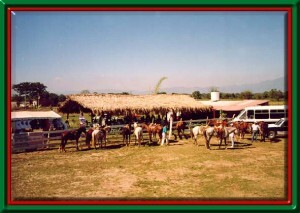 We have 40 horses, and English or Western saddles. 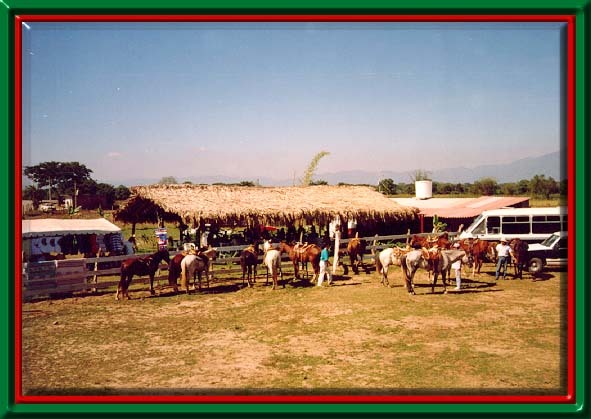 Our ranch includes an authentic Mexican restaurant on the ranch, so good food and refreshments are always available. 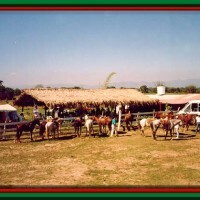 Riding lessons are available for both beginner and advanced riders. After your ride, you may want to enjoy our Mexican rodeo, complete with Bull Riding, Folk Dancing and Mexican Charros Show. When you’re ready, we return you to your hotel where you can relax and recount the day’s adventure and festivities.